Dentures should fit perfectly over the palate or under the tongue so that the wearer will be comfortable. 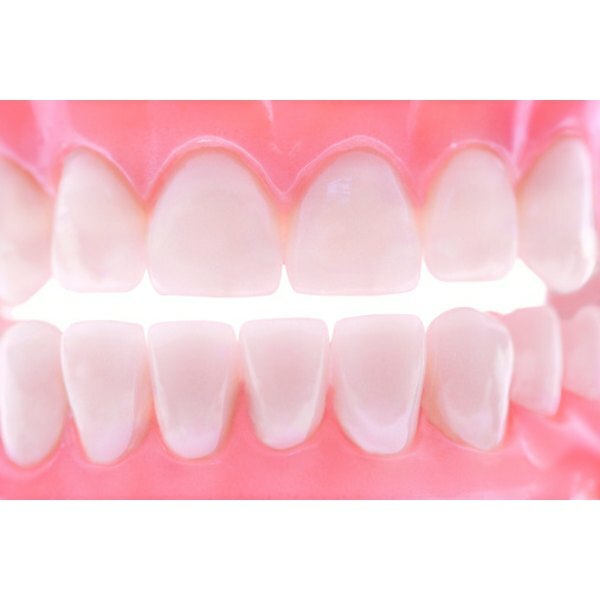 Sometimes, denture wearers experience discomfort or pain due to denture wear. When this occurs, a soft reline of the dentures may be necessary to increase the comfort of the wearer. Properly cleaning the dentures on a daily basis is still necessary after a soft reline to prevent the dentures from getting permanently stained or acquiring a foul smell. Remove the dentures from your mouth and wash them in running tap water. Using a soft toothbrush, gently brush the dentures, making sure that you reach every nook and corner of the denture. Some dirt takes longer to remove, which is why it is important to make sure that you brush every part. The soft toothbrush will also help prevent the reline from deforming. Put a drop of dish detergent onto the denture and brush it again using the soft brush. You can add more dish detergent if you think that a drop is not enough to cover the entire denture. The dish detergent is a very good agent for removing oils from the food that was eaten. Since the soft reline material is made of either gel or silicone, it is common for oils to get stuck in it. Wash the dentures again in running water to remove all of the detergent suds. You can also brush the dentures while rinsing them so that any detergent that is stuck between the teeth is also removed. Wipe them dry using a clean cloth. Get a glass of water and pour half a tablespoon of laundry bleach into the water. Mix it well, and soak the dentures in the solution overnight. The laundry bleach will remove any foul odor lingering on the dentures, as well as the bacteria that has accumulated during the day. Wash the dentures thoroughly with running water after soaking it overnight so that you will not smell or taste the laundry bleach. You can also use a denture cleaner in soaking the dentures instead of laundry bleach.